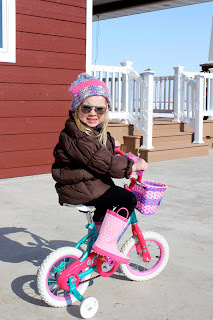 It’s been a long, long winter. The kids are ready for Spring whether it is has arrived on the prairie or not. 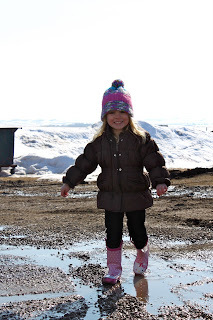 Yesterday they dug out their new water boots and were determined to go out to play. I suggested we stay on our tiny bit of cement around the house. 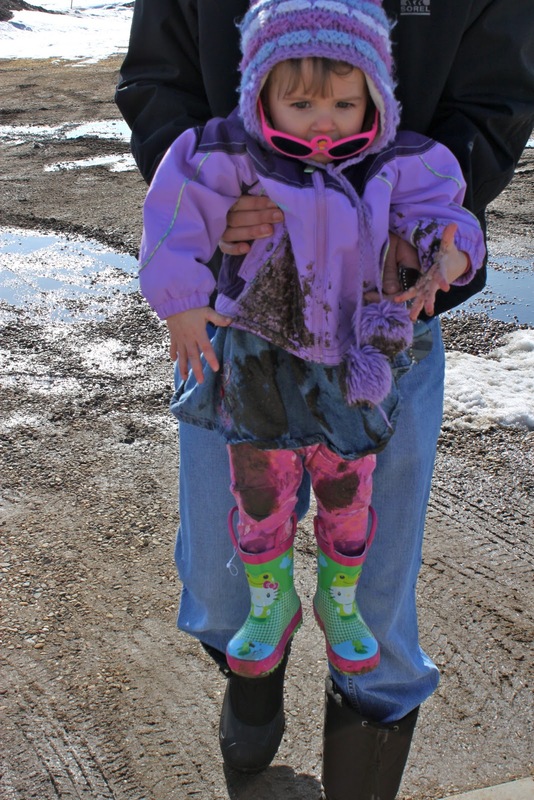 But Anika ventured quickly into the new found Spring prairie mud. 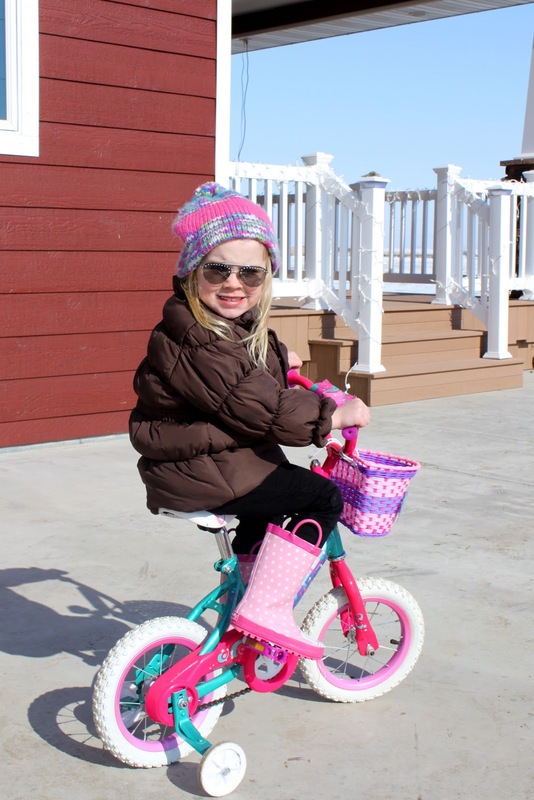 Elissa quickly jumped off her bike to follow into the mud. They stomped and splashed with glee, releasing their pent up energy from being indoors. 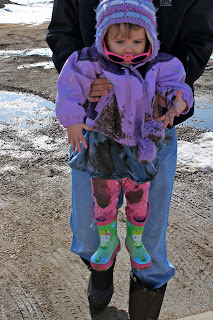 Uncle Joe was there to recover Anika went she truly found Spring mud. It wasn’t as fun as it looked. 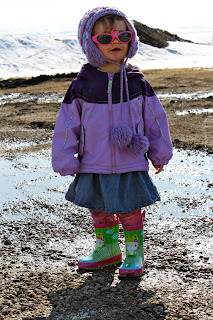 But after a thorough clean up inside and a clean and dry jacket, we ventured back outside for round two. 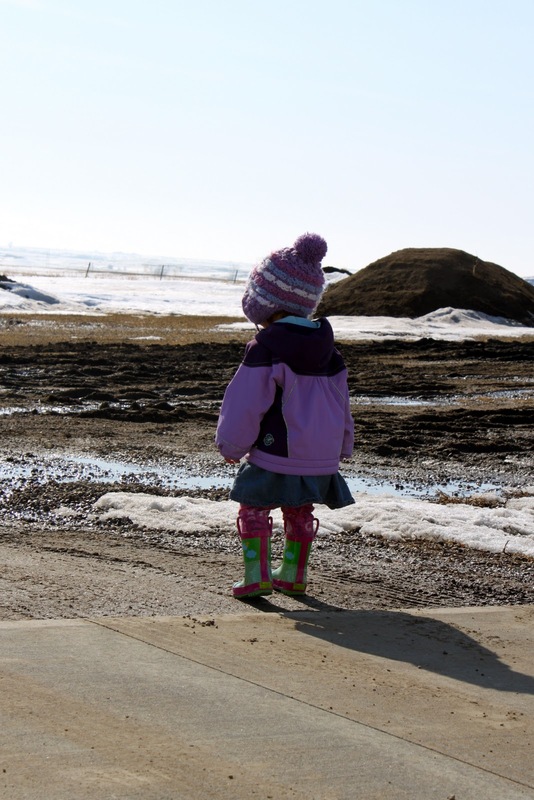 The season of Spring mud is upon us on the prairie which only means one thing: We are getting closer to the real thing. 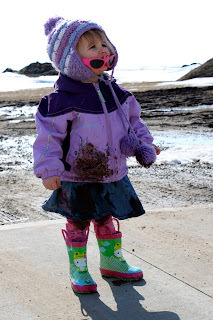 And that is Spring with out mud!